While touch interaction is everywhere around us these days, large monitors and displays still haven’t caught up to the touch screen life. 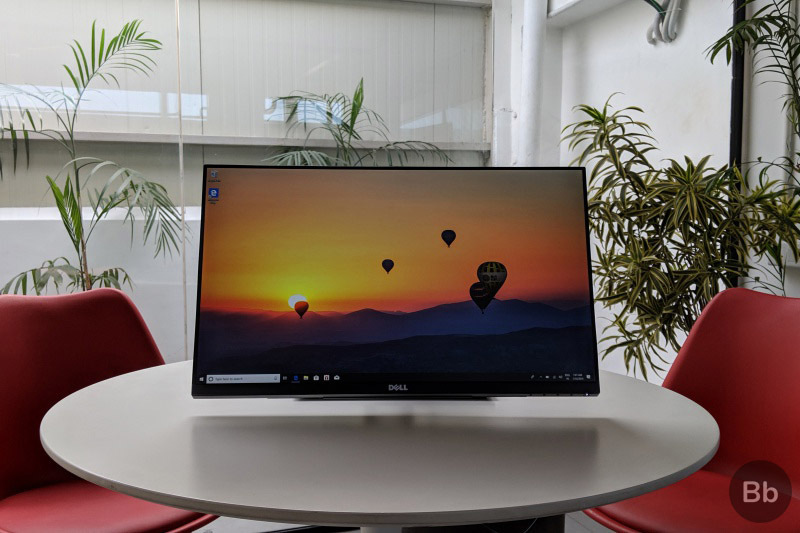 Changing that is the Dell P2418HT, which has 10-point touch sensitivity, a 1080p IPS panel and is targeting niche office, home and commercial use cases. While the P2418HT (priced at Rs 34,699 on Amazon.in) was released in 2017, it’s still a unique proposition in the Indian monitors and display market as it offers a versatile design and can be used for a number of applications. But its price tag puts it well outside the zone of many other touch screen monitors in the market today. So let’s see whether this premium is worth it in this case. Before we start seeing how good the monitor is, here’s a look at the keys specs of the Dell P2418HT touch-screen monitor. 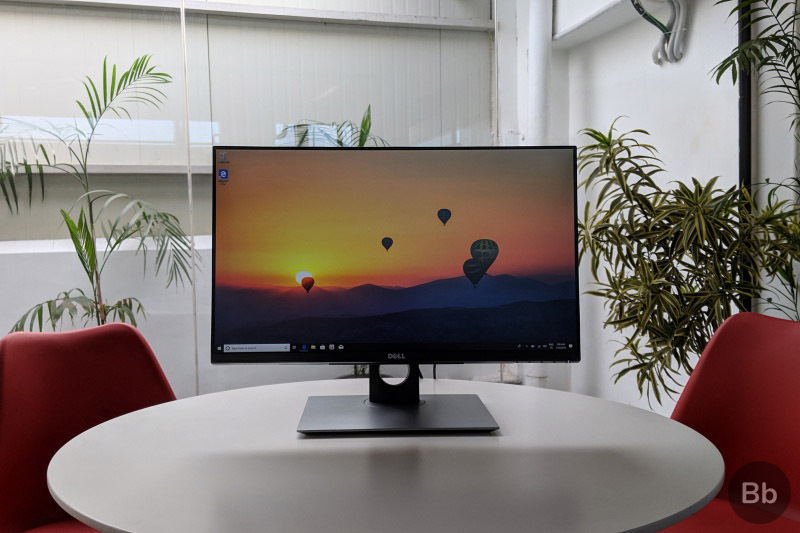 The Dell P2418HT looks like any of Dell’s recent monitors at first glance thanks to a clean outline and minimal bezels. Everything is clad in matte black which is just the ideal color for a monitor, while the stand and the base are painted silver. 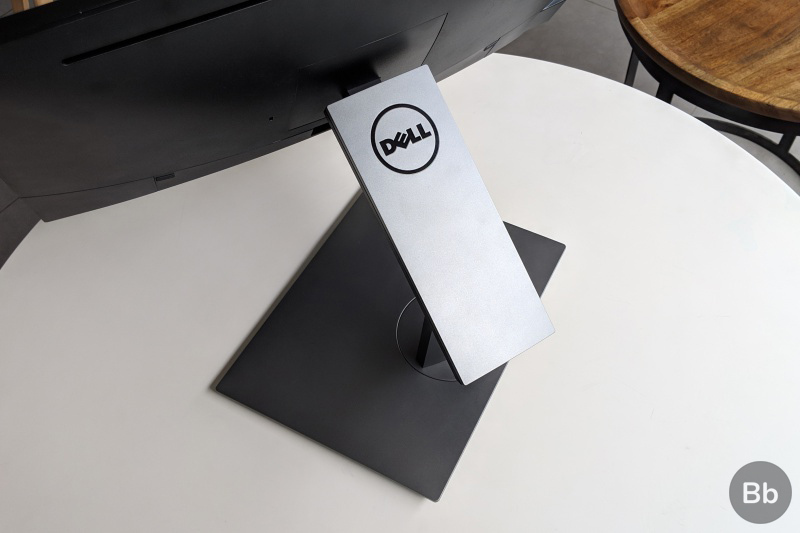 The bezels sit at only a few millimeters on three sides, barring the bottom where you will find the silver Dell text logo as well as the necessary internal wiring that keeps this display going. 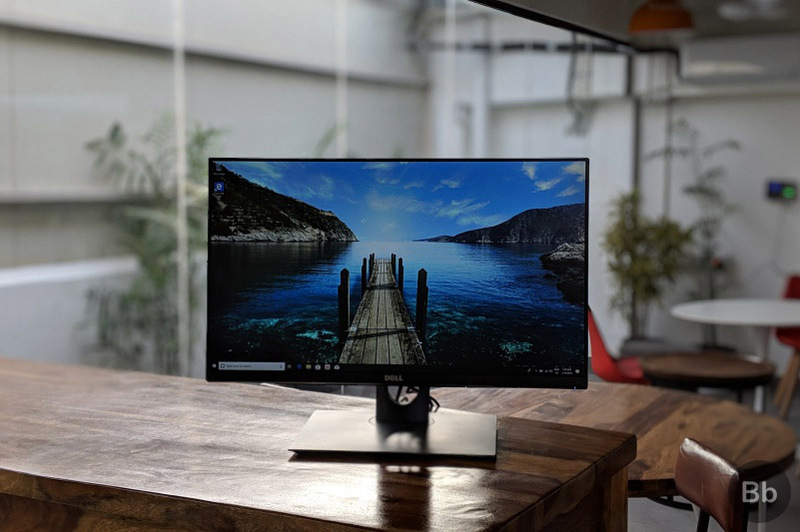 It’s not the smallest monitor in the world, but it’s not as bulky as some others on the market and that’s reflected in its easy-to-carry dimensions. Even so, there’s almost no reason to complain in terms of the materials used or how they have been assembled. Design is half the story of this monitor. After all, it’s meant to be used in multiple angles as depicted here in our gallery. This ability is enabled by the two-piece articulated stand offers a sturdy build quality. But this stand doesn’t let you adjust the height of the display on the same plane, so you can either bring the display forward to lower the height, or push it back to increase its height, which is not ideal. 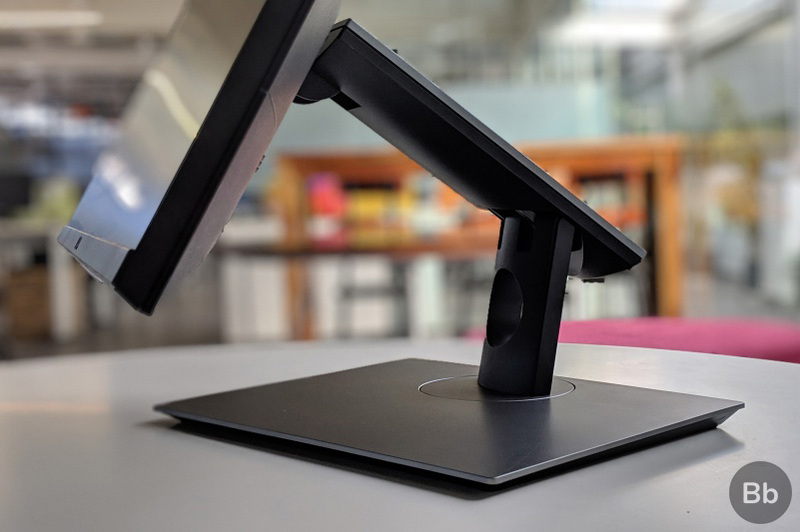 We won’t blame you for thinking it’s too much fiddling around, if all you want to do is just use it as a monitor with your PC; you can easily detach the stand and mount the Dell P2418HT on a wall as it has support for the standard VESA mount. One complaint regarding the stand and base is that it takes away a lot of your desk space. The stand has a big footprint, and extends quite a bit outside the screen when the Dell P2418HT is used like a regular monitor. Now, you can obviously, use this base to keep other objects from your desk, but the look is far from clean. The Dell P2418HT features a 24-inch IPS panel with touch support and a bog-standard 1920 x 1080 resolution (no fancy aspect ratios here). It’s certainly not a gaming laptop as it just goes up to 60Hz refresh rate in terms of refresh rate, but no one is stopping you from using it for games or any other apps. The IPS panel has a contrast ratio of 1000:1 at its max brightness which is fairly good as far as most IPS modules go. Blacks are deep but not satisfying, while some of the color scenes look washed out. While colors may not be its strong point, the grayscale performance is on point. This problem could be attributed to Dell adding a plastic top layer. It definitely makes the monitor less resilient to scratches, and also makes everything look as if you are seeing it through a haze, but it is less expensive to use in production. Add to that, the weird feeling you get from using a plastic touch screen – glass is just better and smoother for every day use. While colors may not be its strong point, the grayscale performance – important for those involved in web or graphic design – seems to be on point. Despite the IPS panel, we noticed some degradation and color shifting when viewing the screen off-centre. Thanks to all the unusual angles that you can leave it at, you are likely to spend some time getting that sweet centre viewing spot, where things look most accurate – the Standard preset of the monitor is plenty fine for most use cases. When it comes to watching movies and videos on the display, you might have to fiddle with the stand to get the viewing height and angle right. But the display is more than serviceable for movies and Netflix binge-sessions. We do wish it had deeper blacks for some of the more gritty-looking content out there, as it looked slightly washed out on this display. 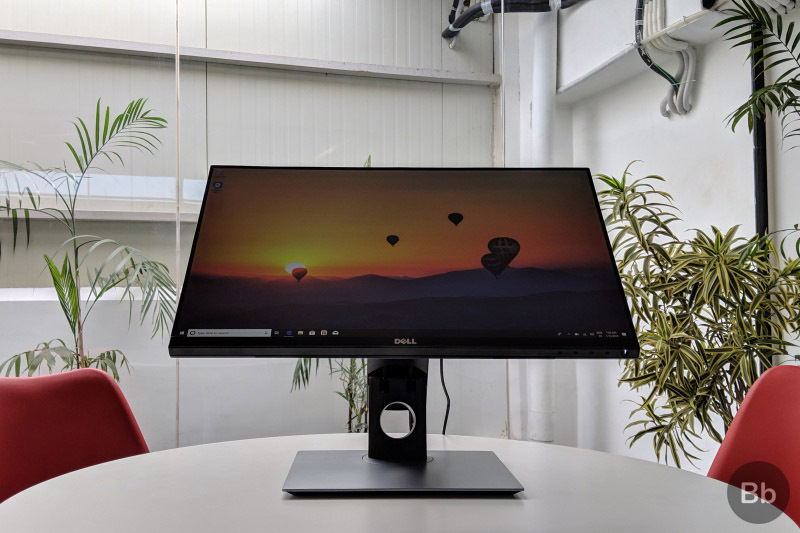 What works in the Dell P2418HT’s favour is the touch support and the versatile hinged stand, which not many competitors have. As mentioned the low refresh rate and the 6ms pixel response time do not make this a gaming monitor. Dell has added an Overdrive feature, which helps to reduce blurring and ghosting, which may help things. Unfortunately, we didn’t use this monitor to play games so we can’t say for sure how much of a difference it makes. Nevertheless, this is not a monitor for competitive players or even casual gamers. While touch support is great, this is not a pressure-sensitive screen so you cannot use it for detailed illustrations or sketching. The touch sensitivity is enabled after you plug in the USB upstream cable into the monitor. It works decently, but sometimes it acted finicky when we tried using regular gestures such as pinching to zoom. The screen felt snappy when using fingers or a regular stylus. Yet, the experience lacked the polish of most glass-based touch screens. The Dell P2418HT comes with quite a few connectivity ports. They are hidden under a lip on the back, and Dell supplies a cable management cover to keep the cables tucked away. Using it is not the easiest thing in the world, but it snaps into place after a bit of wiggling around. It’s really convenient to use the monitor even with older legacy devices, or with more modern laptops. 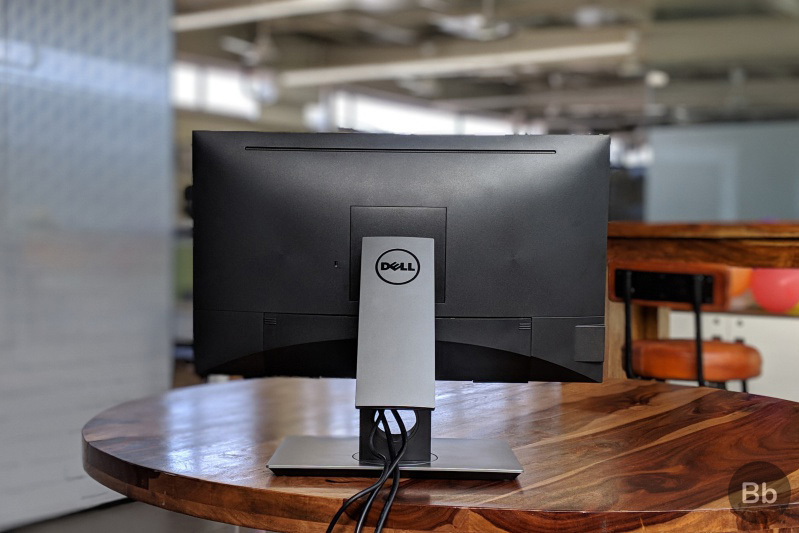 On the back, Dell has added a standard DisplayPort, a DVI slot and a VGA connector. You will also get an HDMI port as well as the bank of USB 3.0 upstream and downstream slots. The former go into the PC you are using – for touch connectivity – while the latter let you hook up peripherals to the monitor. Given the number of ports, it’s really convenient to use the monitor even with older legacy devices, or with more modern laptops. Despite it’s broad lower body, Dell couldn’t find room on the P2418HT to fit in built-in speakers, but it has a very rich ports selection, especially considering this is not the most high-end model out there. We always have high expectations from Dell when it comes to any consumer tech product. Unfortunately, the company has not covered itself in glory with the P2418HT. The touch support isn’t new any more, and the only real unique aspect of the monitor is its versatility thanks to the hinged design of the stand. It’s a shame such a novel design doesn’t get the screen it deserves. A few years ago, I would have questioned the utility of a touchscreen monitor, but not any more. What I do question is Dell’s use of a plastic top layer which robs the Dell P2418HT (Rs 34,699) of some of the sheen, while the lacklustre picture quality when it comes to vibrant colors or deep blacks, is another demerit. Dell itself makes much more vibrant and brighter panels in its consumer lineup. Other offerings from brands like Acer, HP or Asus also have higher brightness values and seem to be more feature-packed. I also don’t like how tepid some colors look on this display, and neither is it good enough for gaming. Where I do see it being used is in public computer installations or in kiosks such as at airports or in point-of-sale locations. I would, however, look elsewhere for a full-fledged touch-screen monitor. Some of the options in terms of competition include the HP EliteDisplay E230T, which brings a smaller 23-inch panel at just over Rs 25,000. Then there’s the Lenovo ThinkVision T2364t, which has a similar 23-inch display and a more sleek design for Rs 26,999. 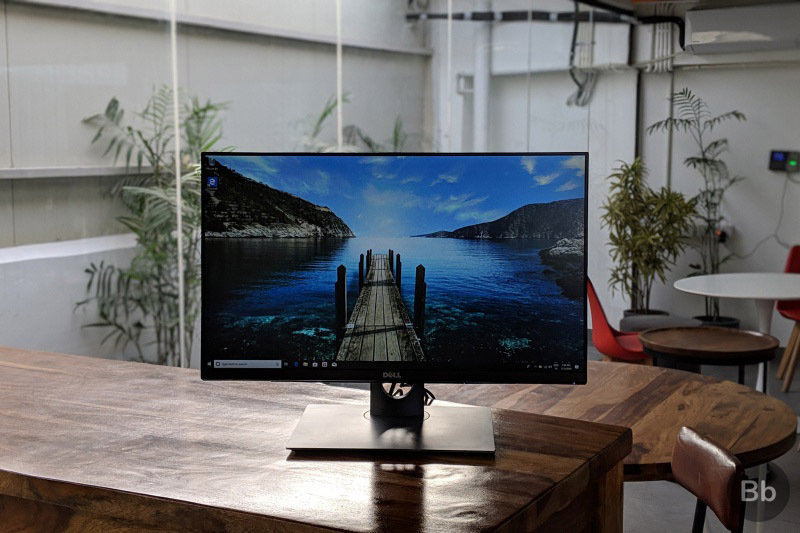 Dell has created a wonderfully-versatile mainstream monitor which brings touch-screen support as well as a healthy selection of ports. While the display itself is less than vibrant, the fact that you can use it in many modes makes it unique. But considering the competition’s similar feature set and lower pricing, the Dell P2418HT may not be worth the premium you have to pay. 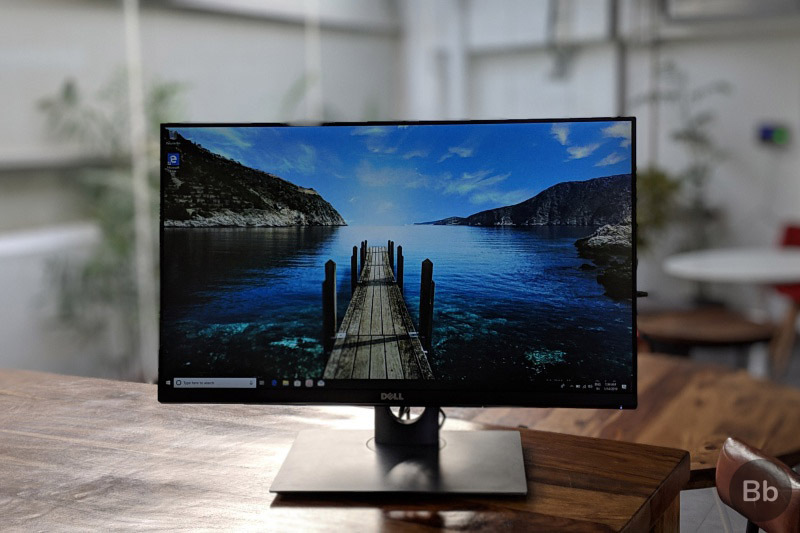 Dell has created a wonderfully-versatile mainstream monitor which brings touch-screen support as well as a healthy selection of ports. While the display itself is less than vibrant, the fact that you can use it in many modes makes it a unique monitor. But considering the competition's similar feature set and lower pricing, the Dell P2418HT may not be worth the premium you have to pay.